When I daydream, Mum says I’m away with the pixies. When I’m excited, Mum says I have ants in my pants. Cross Mum tells me to pull my socks up, even when I’m not wearing any. My mum says the strangest things. 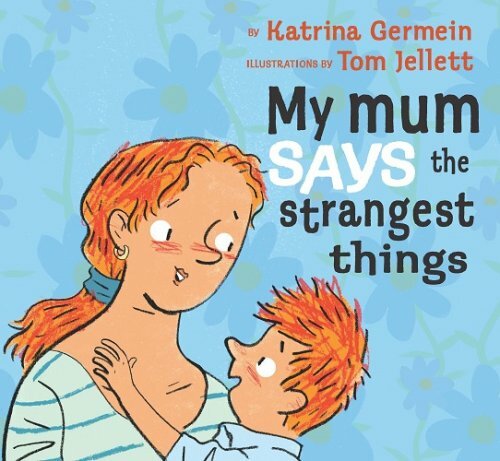 My Mum Says the Strangest Things is a book that both children and their parents will relate to as they come across some of the favourite sayings used in their household. This is a fantastic book for exploring the common idioms children may come across in everyday conversations. All the classics are in this book, including “your room is a pigsty”, “ants in your pants”, “can’t hear myself think”, “pull up your socks” and much more! For further speech and language targets in My Mum Says the Strangest Things, see the list below.